HVAC contractor by now you’re wondering how you can increase business all while taking better care of your customers. Well, we have an idea for you why not have an app like the Profit Pal App on your smartphone? This app also has an Inventory Control Feature so as soon as you put those parts on your truck and you enter the parts into the Materials List the app will track those parts and add them to the cost onto the invoice. If you’re in the HVAC installation business then you really should have an app like this one available to you. And especially when the price for this app is so darn small. It will be such an asset to you because it was designed for Tradespeople like yourself. 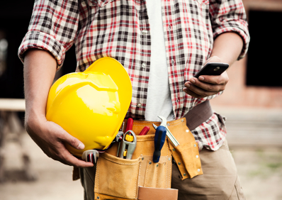 I don’t believe you’ll find an app that was designed especially with tradespeople in mind like the Profit Pal App. There are many different apps out there but many were created by computer geeks who have no idea of what the needs are for trade’s people. While this app was and has within all you’ll need within it. With the only exception that it doesn’t collect the money for you, you’ll need to do that yourself. So BE DIFFERENT! Take people someplace that they were not expecting. Talk with them about their family’s comfort and ask questions to clarify and don’t forget to get this app today and watch how your business improves. By Now You Know The World is Going Digital Get $10.00 When You Join Coinbase Where You Can Get Your Digital Money! Just Click on the Banner to Learn More!